Show off your Favorite Photos on your Amazon Fire TV! Thanks to Amazon for sponsoring this post. Do you have a Amazon Fire TV Stick and LOVE IT like I do? It turns my TV into a smart TV and it is so EASY to use! PLUS, now you can even see photos and play a slideshow of your albums on the Amazon Fire TV - all you have to do is just ask Alexa! If you are an Amazon Prime member in the U.S., you get so many benefits from Prime Photos! Prime membership includes unlimited photo storage with Prime Photos and 5 GB digital storage for videos and files. All US Amazon customers receive 5 GB free digital storage for photos, videos, and files. 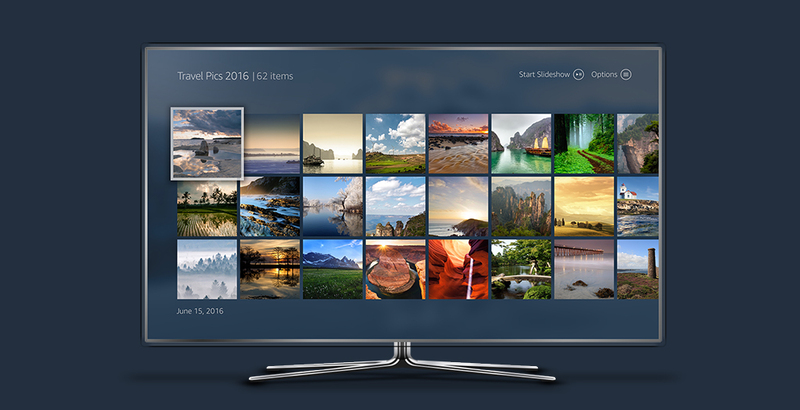 This is a great addition to what you can already do with Prime Photos on your Fire TV. Check out more ways to use the Prime Photos Fire TV app here, hint: you can even change your screensaver. If that isn't enough, all Prime members get unlimited photo storage, as well as 5 GB digital storage for other files and videos. Now, you can relax on your living room couch and flip through your photos and personal videos on the biggest screen in your home using your Alexa Voice Remote. So head over to the Prime Photo app, free up space on your laptop and revel in how cute your pictures are! I would love to make a 'Vacation' photo folder for our family!